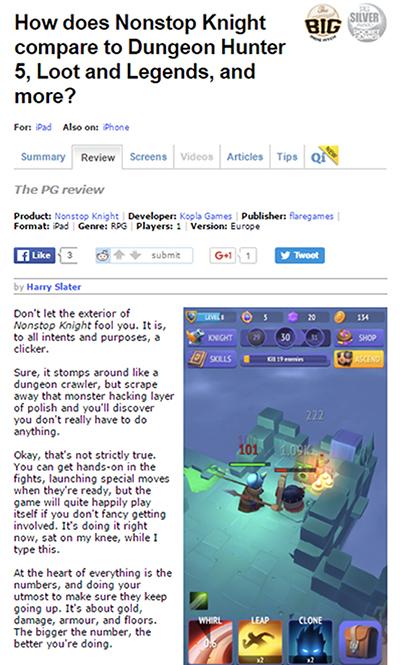 PocketWhale planned and managed the press release of NonStop Knight by FlareGames in Europe and North America for the iOS and Android launch of the game. 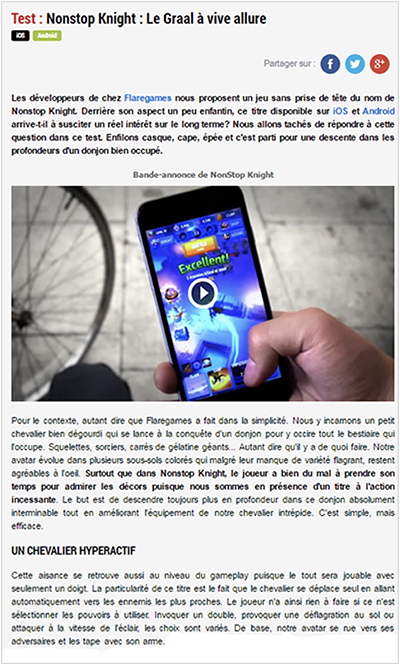 We localized the press release, while customizing the message for each media and journalist. We pitched and followed-up with over 2000 journalists, and provided detailed reporting on the results of the press release. 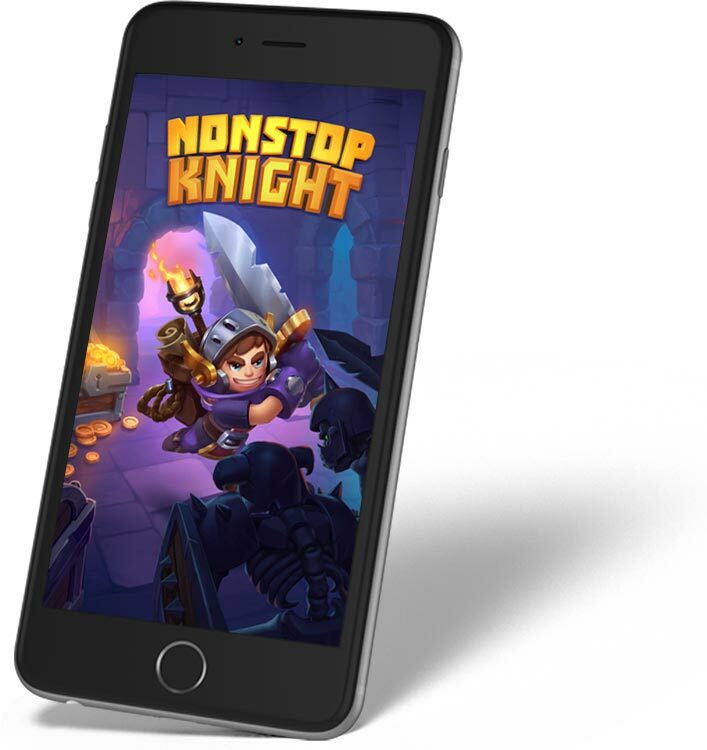 NonStop Knights received over 200 speciallized articles around the world, a total $700K ad value of advertising placements. 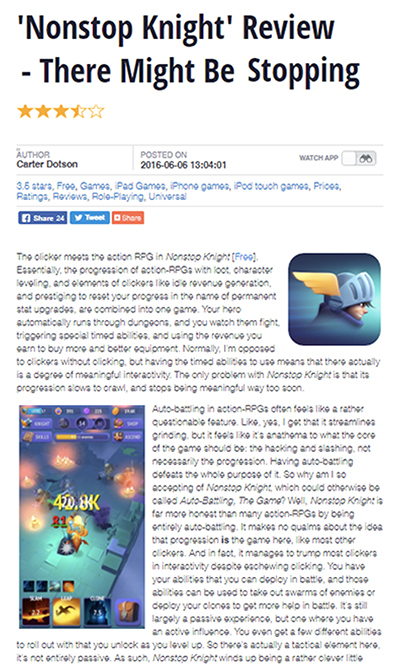 The game also gained placement in Top 50 overall games on both iOS and Google Play.